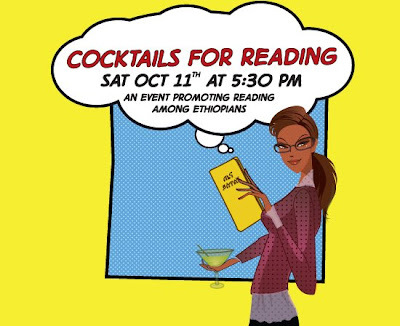 Bernos.org, in collaboration with Ethiopia Reads and Tsehai Publishers, is proud to host 'Cocktails for Reading' – an event that is in between a cocktail party and networking event among authors, publishers, readers and organizations involved with reading in Ethiopia and the Ethiopian diaspora community. Our keynote speakers will be Yohannes Gebregeorgis, co-founder of Ethiopia Reads and recent CNN Hero, and Elias Wondimu, founder of Tsehai Publishers and Ambassador for Peace. For more information, please contact Tsilat Petros with Ethiopia Reads at tsilat@ethiopiareads.org.